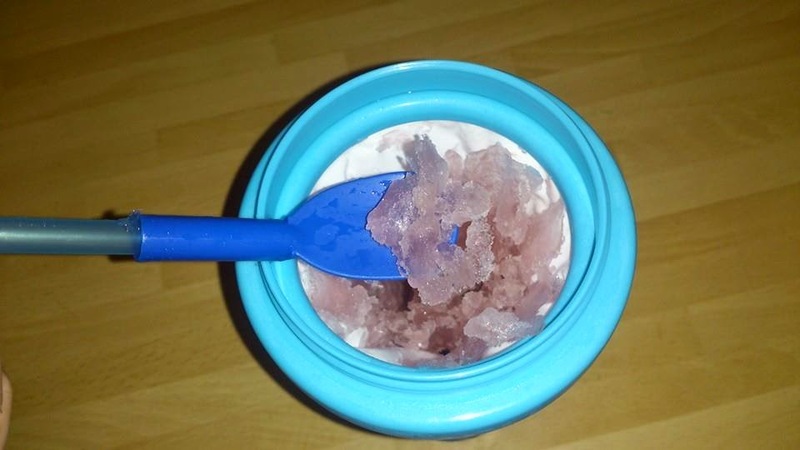 I don't know about your children but mine love anything with a novelty factor, so when we were given the opportunity to try out a ChillFactor squeeze cup slushy maker I knew it would be something James would love (and me!). The ChillFactor squeeze cup is a unique hand held slushy maker which allows you to make delicious slushies in seconds! It requires no ice or blenders and leaves no mess. They are so easy to use too which means even the children can have a go. 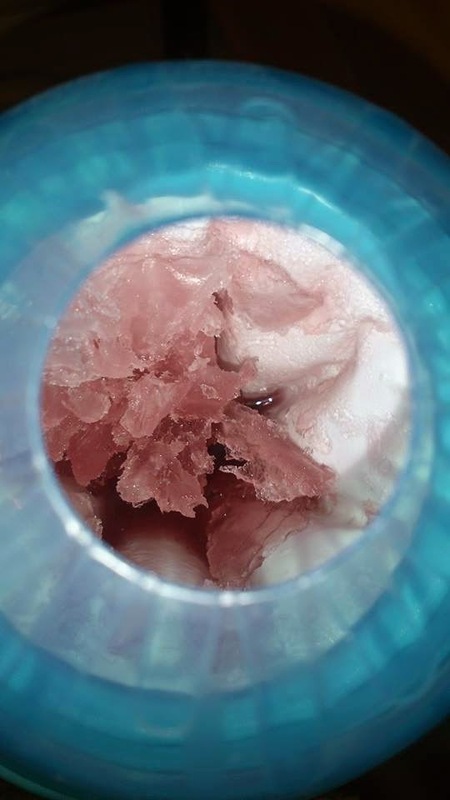 To use the ChillFactor squeeze cup you simply place the cup into the freezer for around 4-6 hours (we left ours over night). You then pour in your choice of chilled drink, wait a few seconds and then squeeze! You can literally see your drink turn from liquid to slush before your eyes. James (as I thought he would be) was amazed by the cup. He of course wanted to try out any drink he could get his hands on and we were suprised to see this cup works with a whole range of drinks including squash and cordials, fruit juice and even milk (although this turned really thick rather than slushy). I did find as the outside of the cup isn't made of a hard plastic it seemed a little unsteady to hold for smaller hands, however once it had frozen this didn't seem to be an issue. The cup came with a handy booklet which shows you how to use it and how to clean it after use although it is all very straight forward anyway. The cup also comes with a handy reusable sturdy plastic straw with a spoon attachment at the bottom, perfect for scooping out the slush! 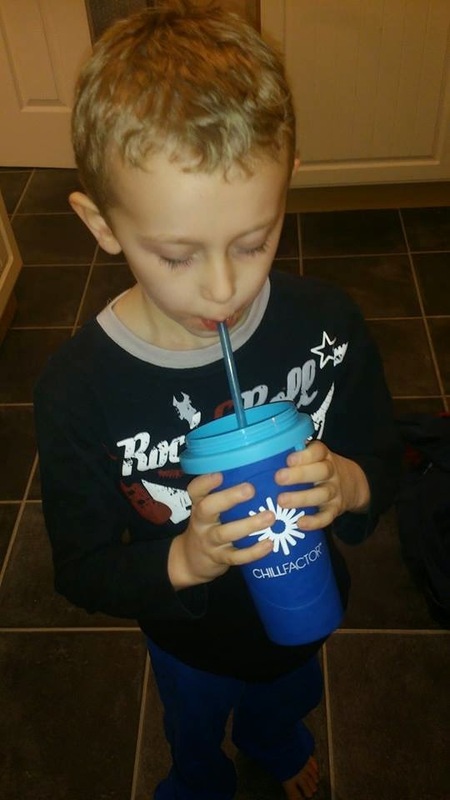 Overall James loved the ChillFactor squeeze cup slushy maker and I can see us using it lots in the summer, It wasn't just a hit with James either the adults loved it too! You could even make some slushie alcoholic cocktails in it if you wanted too. The cup is priced at £12.99 which although may seem a little pricey at first when you consider the price of a normal slushy drink (usually between £1 - £2) its actually quite a good price as this cup can be used time and time again. 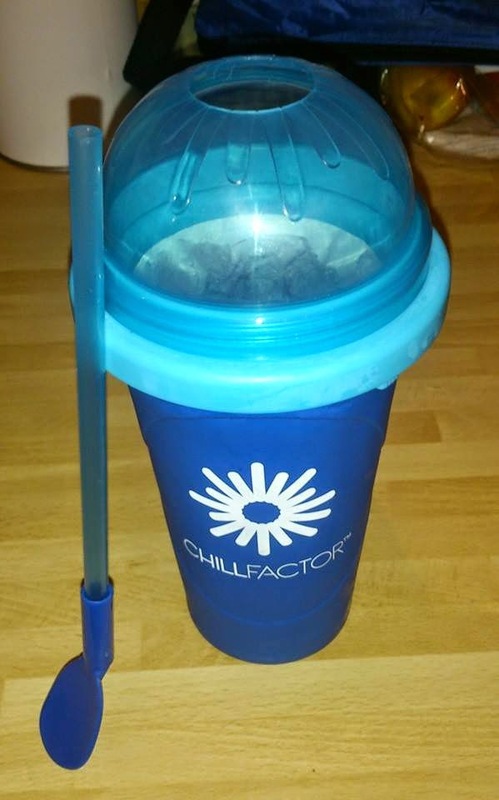 You can find out more about the ChillFactor slushy cup or purchase your very own HERE. I definitely need an excuse to buy this. Maybe I could buy it for my friends toddler but accidentally keep it myself! We have a cup similar to this and my toddler LOVES it!! Def. a good investment! What a fun product. It would be a great way to involve kids in making their own snacks. Getting one for Summer! Thanks!! I've tried similar cups over the years, but none really worked :( I'll give this one a shot! thanks!